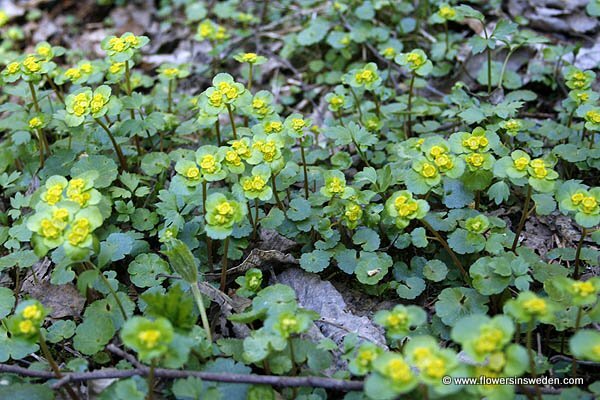 Scientific name: Chrysosplenium alternifolium L.
Leaves: Mainly basal and distributed along the stems; sparsely hairy, kidney-shaped to round with sparse jagged edge, the lower leaves are long-stemmed and has a heart-shaped base. 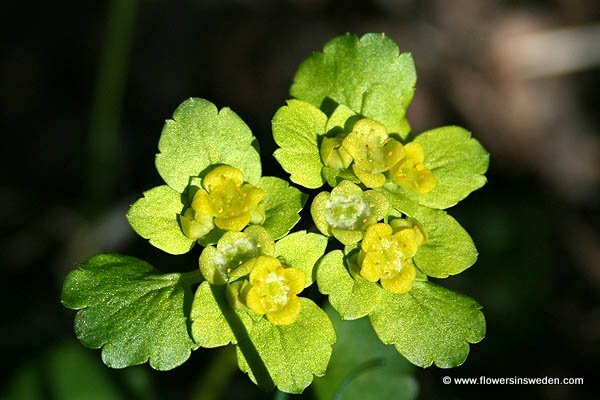 Flowers: Small gold-yellow, hermaphrodite, alternate-leaved flowers; sits in the flattened, top covered broom as bundles, they lack the crown but has four sepals, two pins and eight stamens. 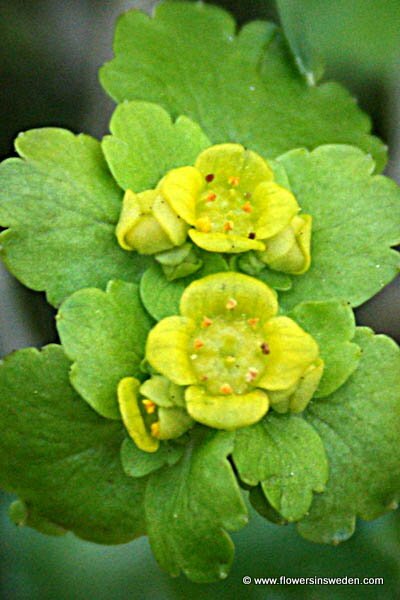 Chrysosplenium, Greek χρυσοϛ chrysos, "gold," and splynos, "the spleen" or splenion, "a pad or compress of linen," in reference to the sessile leaves. 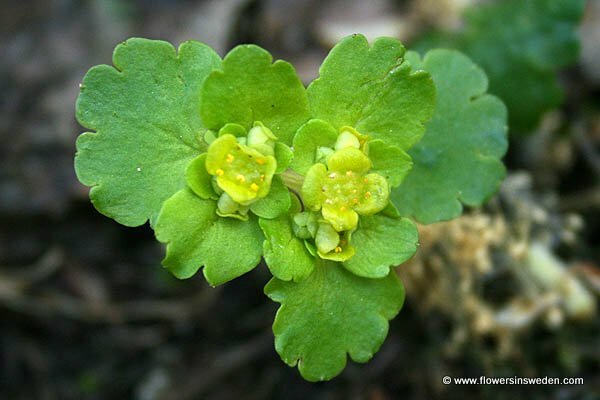 Chrysosplenium alternifolium is pollinated by beetles, flies, self. The plant is self-fertile.